Sinfonietta Strings of Greater Nashua gives students from all cultural, religious and economic background the opportunity to learn and play string instrument. Sinfonietta Strings of Greater Nashua gives students from all economic and cultural backgrounds an opportunity to learn to play a string instrument. The program keeps students off the streets while learning to work as a team and offers them an emotional and creative outlet. These students learn how to focus. They thrive in a cooperative environment through music and have a productive and rewarding experience. In partnership with the Nashua School District, Sinfonietta Strings complements the band program by offering weekly violin and viola group lessons, an after school string ensemble for more advanced and/or older string students and a week long summer camp session. It is taught by professional violinists and cellists with many years of teaching experience. Funded mostly through grants and individual donations, there is no cost to the school district other than the use of its buildings. For group lessons, there is a nominal tuition cost of $30/year for Title 1 schools and $110/year for non-Title 1 schools. Instruments are provided to students at Title 1 schools free of charge, non-Title 1 school students rent instruments. Sinfonietta Strings of Greater Nashua was formed five years ago first as a pilot program with Symphony New Hampshire. The pilot program was renamed a year later as “Sinfonietta Strings of Greater Nashua” and become a program of United Way of Greater Nashua with United Way as the fiscal agent. For decades the school district only taught band instruments. 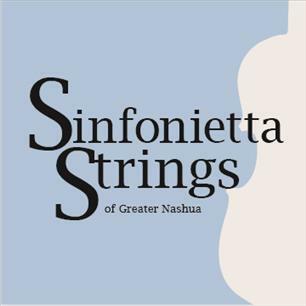 Sinfonietta Strings is here to fill that void and provide string teaching to the Nashua New Hampshire community. The program first begin with just one school and each year another school from the Nashua, New Hampshire school district was added. We are in year five this year with five schools and three string ensembles. Three of the schools are Title I schools where students do not have the opportunity to learn a string instrument. Our program is funded completely through grants and private donations and is no cost to the city of Nashua or the school district. Long term our goal is to provide string instrument training and ensembles experiences in all 12 elementary schools in the Nashua School District, 3 middle schools and 2 high schools. Tuition is set extremely low because a majority of the students are from very low income families and would not participate if it was costly. In each school the cost of a string teacher for the year is $4,500. The start up cost for a new school is $4,000 in school instruments. This year we are adding another school requiring $4,000 in instruments and an additional $4,500 to our teaching budget. We are also adding cello for the first time and that teacher will add another $4,500 to our budget. Sinfonietta Strings of Greater Nashua is unique in that the cost is extremely low to the student and parent. The scholarship tuition is set at a nominal charge of $30 per year for lessons and instruments. The regular tuition is also low at $110 per year for lessons. In addition, the group lessons are very small with only 3 students in a lesson. Students have the opportunity to play music with each other in ensembles and perform for other schools and their parents.